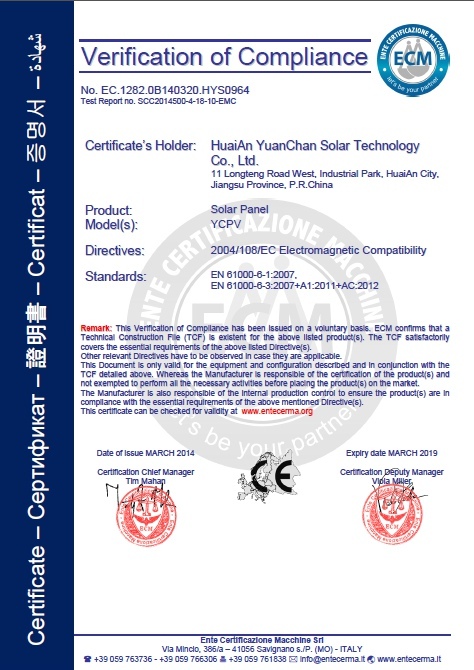 Company Overview - Huaian Yuanchan Solar Technology Co., Ltd.
6YRSHuaian Yuanchan Solar Technology Co., Ltd. 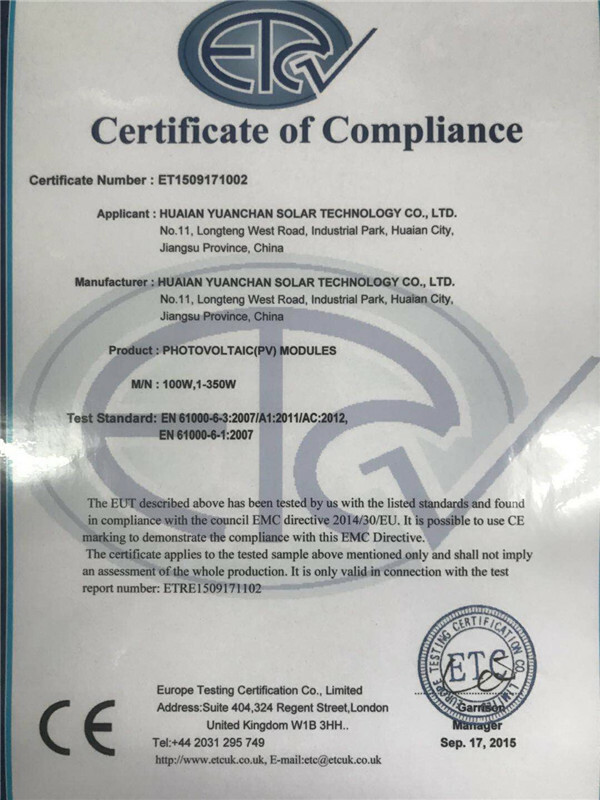 Established in 2010, Yuanchan Solar Technology Co., Ltd is a professional manufacturer and exporter that is concerned with the design, development and production of solar panel. Our factory covers an area of 30636 square meters which are located in National Development Zone- Huaian Industrial Zone, with convenient transportation access. It closes to port of Shanghai, port of Lianyungang and provincial capital Nanjing. In addition, to meet customers' requirement, we established the business department and a warehouse which covers 6660 square meters in Yiwu, Zhejiang. 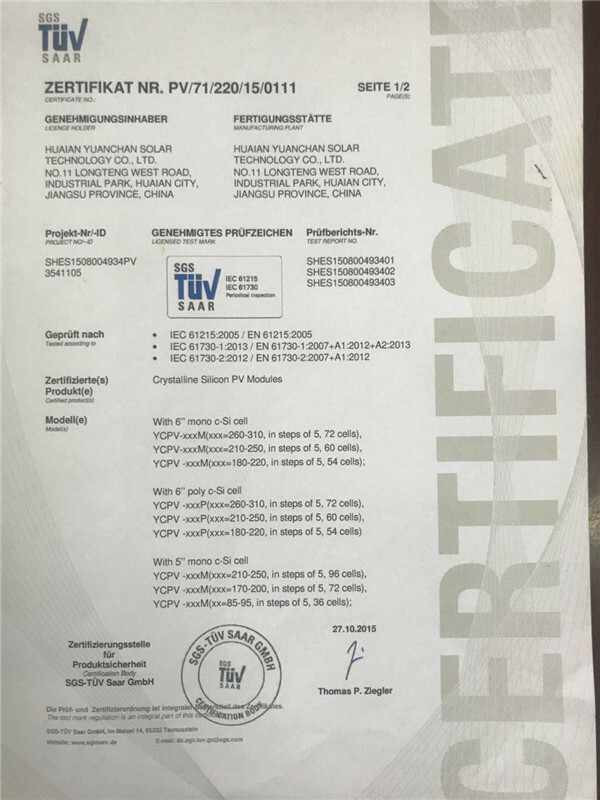 Our well-equipped facilities and excellent quality control throughout all stages of production enables us to satisfy customers' demand. 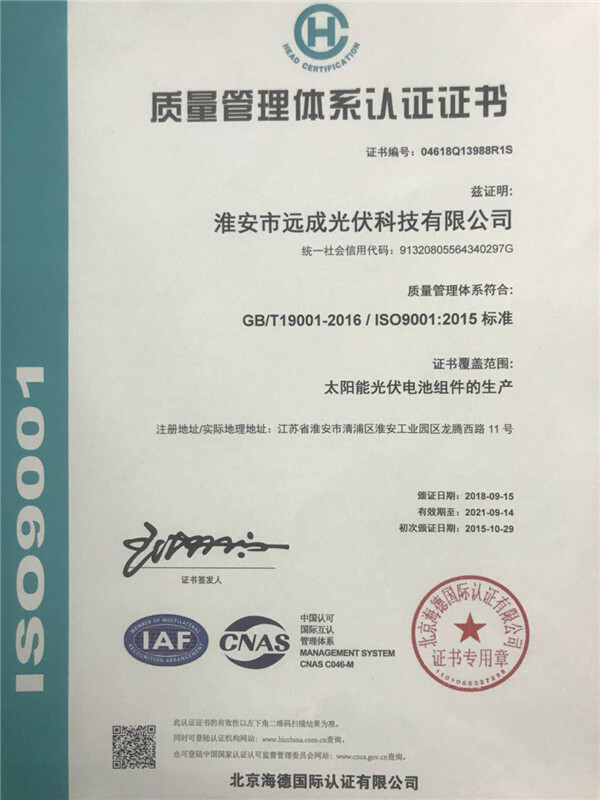 Besides, we have received ISO9001 and CE satisfaction. All of our products are greatly appreciated in a variety of different markets throughout the world. If you are interested in any of our products or would like to discuss a custom order, please feel free to contact us. We are looking forward to forming successful business relationships with clients around the world in the near future.